The Bridge Academy Program is a 2 week long program broken down into 6 sections: Evaluate, Train, Teach, Preparation, Exposure, and Placement. Through this program we look to get our players placed in college programs across the United States. The Staff at the bridge academy has over 100 combined years of college experience and will evaluate each player. We will then be able to pinpoint both strengths and weaknesses to better work with our players and improve their all around skill set. This allows us to better implement players into workout program suited to their needs and allow for them to get the most out of their time at The Bridge Academy. Our staff will train the players in 4 main areas. We will have 3 different training sessions daily with 2 being on the court and the 3rd being in the classroom. What SEPARATES the Bridge academy is the staffs ability to communicate the game. we will implement offenses versus man DEFENSE and zone defenses. will will teach how to play man to man defense and the basics of zone defense. we will teach an entire system so the players are prepares to perform at the highest level at tournaments in front of college coaches. This will also prepare them to play and understand the game at a college level. After a day on the court, the bridge academy will then prepare and work with the players on english prep, and act/sat prep. english will be taught by both HIGH SCHOOL and college professors and will be worked on nightly. we will also prepare players for the american college entrance exams the act test and sat test. This will be taught by a test specialist who has prepared countless students for success at the Mccallie school, one of the most prestigious high schools in the United States. one of the main goals of the bridge academy is to expose our players to as many college coaches as we can, as it is imperative to college placement. In order to be recruited coaches need to know how good one is. we will bring in college coaches during the week to observe individual practice and team workouts. with the staffs extensive network of connections the players will be seen by a variety of college coaches from all levels of collegiate play beore they even participate in tournament play. We will attend a tournament that coaches from schools at all levels of college basketball will be attending. This exposure is the key to getting seen by college coaches. 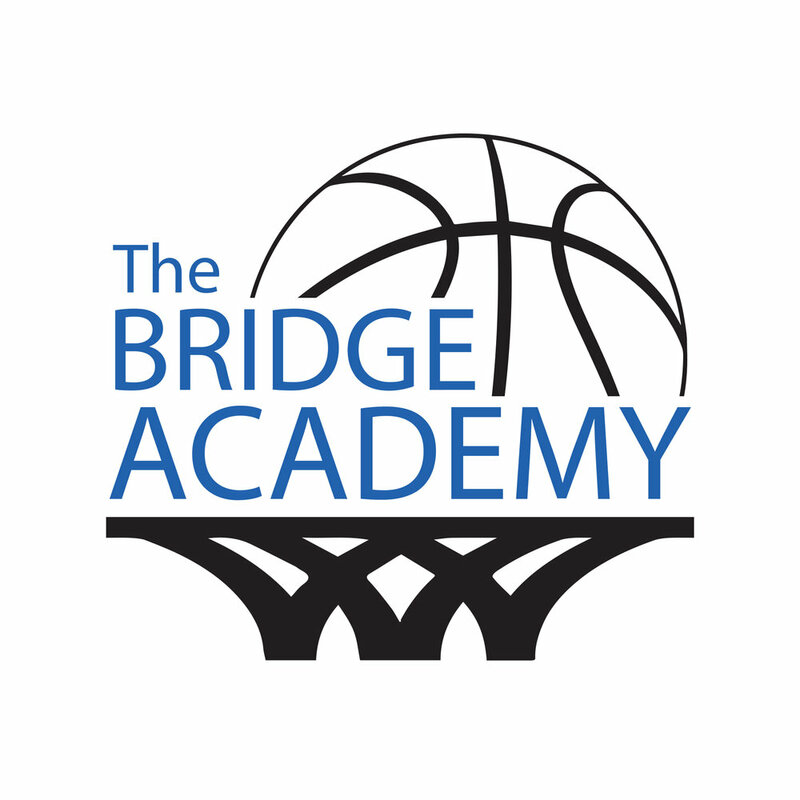 The bridge academy will make sure you are seen by coaches and are set up to have the best oportunity to play at the collegiate level. After the tournaments have been played the Bridge academy will take the time to speak and visit with coaches about the players. due to the experience of the staff, we will be able to discern what programs will be best suited for each player. we will assist in with recruitment of each player as well as make sure the paperwork for admission and ELIGIBILITY is correctly completed. The Bridge Academy's goal is to get all the players that attend placed in schools across america. WE want to see our players succeed not only on the court but in the classroom.